It might seem really obvious to say this, but if you’re upset that Treyarch has done away with the traditional, separate single-player campaign in Call of Duty: Black Ops 4, then this game simply wasn’t made for you. Black Ops 4 is a game made for the people who are still pouring hours of time into Call of Duty games. It’s made for the dedicated fans who were playing Black Ops 3 multiplayer mere hours before that countdown hit zero and Mark Lamia took the stage. We often forget that, while games are made to be successful, they aren’t made for mass appeal. Or at least, they shouldn’t be. Upon arriving home from the Black Ops 4 reveal event, I told my wife about this latest development while discussing the reveal. Simply put, those interested in a Call of Duty campaign are not the target market. The vast majority of people I see disappointed about the lack of a single-player campaign don’t feel strongly about playing the game in the first place. Comments like “I don’t play Call of Duty anyway, but this has really sealed it for me,” are just further proof that those who lament the missing campaign are the same people who probably wouldn’t buy or play the game anyway. There are very few, if any, Call of Duty streamers, fans, and players who are all about the campaign. Most players who enjoy the single-player merely have a passing interest, but it’s not enough to drive sales. Turn that around and look at the multiplayer side. There is a passion and an energy to that day one purchase. Nobody standing in line to pick up Call of Duty at midnight on the launch date is waiting there to play the campaign. You want evidence of that? Look at the response when it was rumored that Modern Warfare 2 Remastered wouldn’t include the multiplayer component. Yup, even on an old remastered Call of Duty game, people are more interested in seeing the multiplayer component added in than they are in playing what was actually one of Call of Duty’s best single-player chapters. So why would Treyarch put time and effort into development of a facet of their game that only elicits a mild reaction? They aren’t making a game for you. They are making a game for the fans, and that’s entirely okay. You weren’t going to buy it anyway. Maybe you’d borrow it from a friend. If you did actually buy it, you’d buy it used or on a steep sale. If you do get it day one, you’d just sell it or trade it in as soon as the campaign was done anyway. You’d justify these choices, because you’re “only really playing a third of what the game has to offer,” right? My own experience with Call of Duty up to Advanced Warfare (2014) was strictly with the campaigns. I borrowed them from friends. I bought them used. I traded them in quickly. I did everything that proved I wasn’t interested in supporting these developers or putting any real value into the experience I was getting. They made no money off of my passing interest in the single-player stories, and I’ve never been good enough competitively to want to keep playing multiplayer long term. Even now, I’m fully aware that I’m not necessarily Treyarch’s target market (though some of the multiplayer gameplay changes do allow more people to feel successful in a team composition). It would be unfair to expect Treyarch to continue supporting casual “fans” that would never support or truly love a Call of Duty game anyway. In fact, we’ve seen just what can happen when a developer tries to cater to the less interested and casual fans. Destiny 2 was a direct result of a focus on more casual players. To me, it felt like a game that said, “Okay, we have the players who are hooked on the Destiny experience. How do we catch the interest of the ones who are not?” Even Bungie has now realized the error of trying to make a game for the people who don’t really like their game. Even if any of them showed up at launch, they’ve long since gone now. Recent changes have set about correcting that, shaping Destiny 2 into a game that is for the community and players who have supported Destiny since day one. Black Ops 4 isn’t interested in the casual passerby that won’t put more than 5 – 10 hours into their game, if they’ll even play at all. And why should it be? 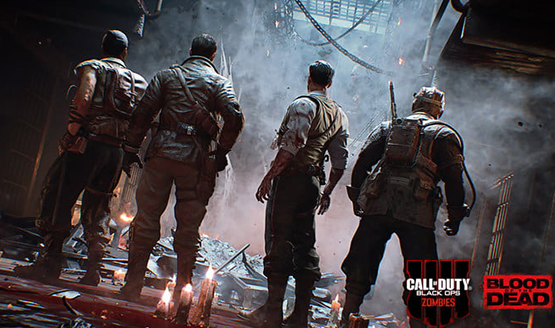 Treyarch is banking on building a game that the longtime fans of the Treyarch brand of Call of Duty will love, and then allowing that hype to sell the game and attract new players. Instead of alienating their core player base, they are alienating the naysayers who already separated themselves from the brand a long time ago. At the end of the day, it makes a lot more sense for them to pour resources into development of the side of the game that’s going to do well, sell copies of the game, and keep players playing for a long, long time. A Call of Duty campaign, no matter how good, just doesn’t have that kind of staying power. The “Death” of Single Player? Press X to pay respects. Single-player is dead, right? No, no it isn’t. That’s an absurd notion, just as completely crazy as thinking that mobile gaming will be the end of consoles. It’s simply not going to happen, and the success of excellent single-player experiences like God of War proves that. You have to look at it brand by brand, franchise by franchise, and determine where player interest lies. Don’t forget that God of War: Ascension had a multiplayer component that was not brought back for God of War on PS4. Players were far more interested in that solo experience and the narrative around it. The team at Sony Santa Monica doubled down on the core experience that people loved and set about evolving and building on it in meaningful ways. Just because Treyarch decided to double down on multiplayer, triple down on Zombies, and even add a battle royale mode with Blackout, it doesn’t mean that it is heralding the end of solo experiences as we know them. The developers are simply doing what’s best for their fans and their brand. That’s the beautiful thing about video games. Multiple can exist at any given time. Even two similar games like Fortnite and PUBG can coexist and compete. If that’s true, then it’s most certainly possible for Call of Duty to make the shift to an all multiplayer experience. It doesn’t mean that’s the trend we’ll see for the entire rest of the industry. No campaign might also induce the argument that we’re not getting a “full” game, but what does that even mean? Is a single-player game without multiplayer “full” then? How do you ultimately quantify what a complete product is? We’re stuck in the mindset of limited boxed products that constituted a full experience. I would argue that these days, a full experience is based purely on what the player can get out of it, not some arbitrary checkbox that says the game has a campaign. At The Cost of Narrative? Now, I would be lying if I didn’t say that I’m sad to see Treyarch’s particular brand of campaign shenanigans and “mind-fuckery,” as Studio Head Mark Lamia likes to call it, are gone, but are they really? 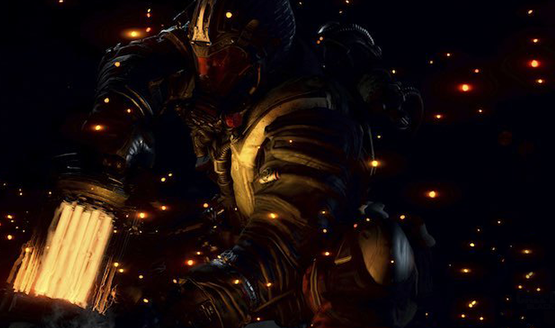 We’ll still be getting a narrative woven into the multiplayer through the specialist solo missions. The maps themselves offer a bit of story through environmental storytelling. In fact, it seems like Treyarch is taking some cues from Blizzard’s Overwatch when it comes to delivering a dedicated multiplayer game that can still have a fascinating and interesting universe surrounding it. In many ways Black Ops 4 is actually telling more of the story right in game than Overwatch does. We’ve also got three Zombies campaigns, and those have always told some impressive mysteries full of intrigue and deep lore. That’s more than Treyarch has ever delivered at launch before, and that’s coming from the days when the Zombie mode was little more than an Easter egg buried at the end of World at War. They fleshed out the putrid, rotting flesh and made it a core part of the package. Once again, that’s evidence of Treyarch adapting to what fans are responding to and what players are playing. We don’t yet know what kind of narrative Blackout–Black Ops 4’s battle royale mode–will airdrop in, but we do know it plays on the history of the Black Ops series. 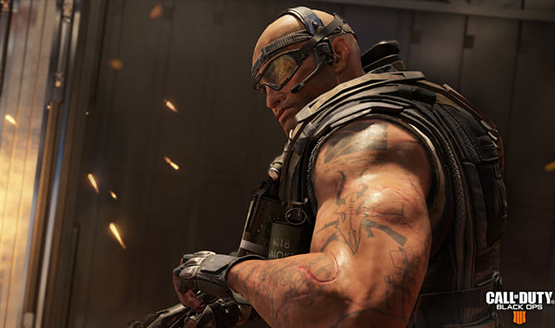 It’s unlikely that we’ll be getting any kind of conceivable narrative structure at all, but the very essence of why Blackout stands out so much is steeped in Treyarch’s deep Call of Duty experience in delivering intensely deep storylines and memorable characters across the last three Black Ops games. At the end of the day, any studio has to take a step back and ask “Who do we make our games for?” Treyarch answered that question by looking to its fan base. They looked to the players that continue to play their games daily, nearly three years after release. They looked at the statistics for their games and yelled out, “what do the numbers mean, Mason?! ?” Well, the numbers mean a campaign isn’t driving any kind of meaningful attach rate to their games anymore. Perhaps one day, a long time ago, a single-player campaign was what brought players in. Perhaps some time not all that long ago, the single-player was at least a necessary part of the bigger package. Today, however? Today Call of Duty doesn’t need the naysayers. It doesn’t need the support of people who aren’t going to play the multiplayer, who are going to buy it on sale, get it used, or just trade it in as soon as the eight-hour campaign is finished. If you’re upset that Call of Duty: Black Ops 4 doesn’t have a campaign, ask yourself if it really means all that much to you. Chances are you weren’t actually going to support the game anyway.